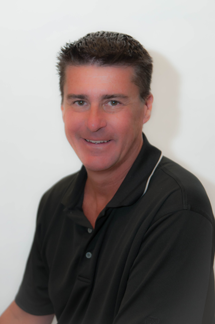 Dr. Bennett has dedicated his career to providing his patients with the smile they deserve – a healthy, beautiful one! His devoted commitment to his patients never goes unnoticed as he gives them a reason to smile again. Recognized for his cosmetic dental services, Dr. Bennett is a licensed dentist and practices in Orland Park, Illinois, which is conveniently located southwest of Chicago. Many patients travel from other states as well as other countries to see Dr. Bennett. Thus, he has been able to create some of the most beautiful smiles in the world and believes that improving a person's smile through conservative and natural looking esthetic dental techniques has a significant impact on their overall appearance and confidence. Dr. Bennett is the third generation of his family that has been involved in dentistry. He recently completed construction of a state-of-the-art dental laboratory right in his dental practice. Having been a dental laboratory technician since 1978, he is in the process of training his technicians to fabricate crowns, bridges and porcelain veneers on site under his direct supervision. Dr. Bennett has been caring for various healthcare facilities in the area. He is a key opinion leader for several dental manufacturers and is involved in new product evaluation and development for these companies. Dr. Bennett lectures nationally on technology in dentistry as well as other topics and has authored many publications related to his profession. He is an active member in the American Dental Association, Chicago Dental Society, Illinois State Dental Society and the Academy of General Dentistry. Dr. Bennett is also committed to the continuing education these societies offer and regularly attends educational seminars so he remains current with the latest dental research and new advancements in esthetic as well as general dentistry. Dr. Bennett resides with his family in the Southwest Suburban Palos area. 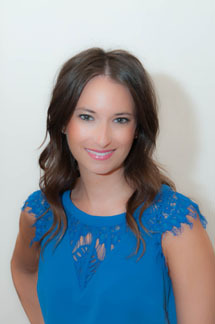 Dr. Barrera has devoted her career to making her patients feel confident and proud of their smile. She enjoys seeing families and promoting oral health for all. Her patients are her most important part of practicing dentistry and always come first. Dr. Barrera attended the University of Iowa for undergraduate, where she studied art to strengthen her aesthetic abilities while taking traditional science courses. She continued on at the University of Illinois at Chicago to become a Doctor of Dental Surgery. Upon receiving her Doctorate in 2010, Dr. Barrera received the Award for Clinical Excellence and participated in many community-based programs where she provided oral healthcare to those in need. Dr. Barrera is an active member of the American Dental Association, Chicago Dental Society, Illinois State Dental Society, and the Academy of General Dentistry. She enjoys painting and drawing and using her artistic skills to create beautiful smiles.